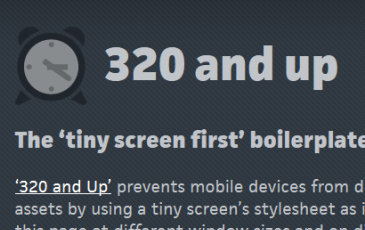 ‘320 and Up’ starts with a tiny screen stylesheet that contains only reset, colour and typography styles. Media Queries then load assets and layout styles progressively and only as they’re needed. Think of this as responsible responsive design. 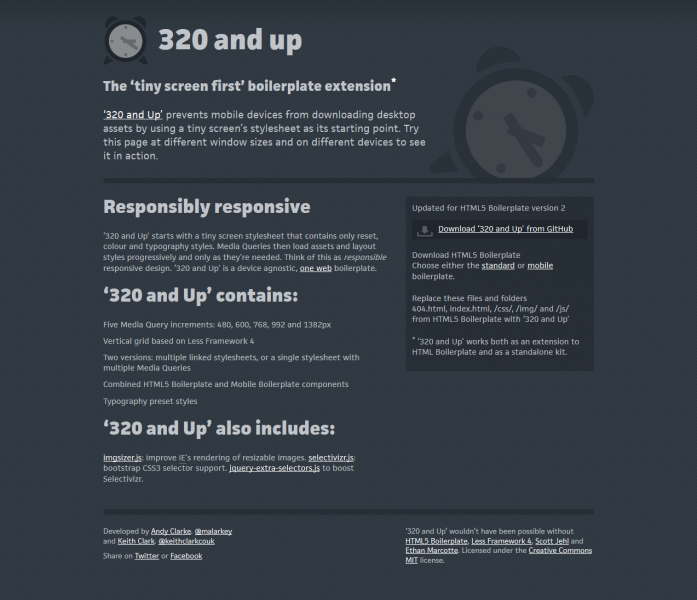 ‘320 and Up’ is a device agnostic, one web boilerplate.